2018 Frankfurt Book Fair, Taiwan Pavilion, is sponsored by the Ministry of Culture, Taiwan, and organized by Taipei Book Fair Foundation. The participation of 115 publishing houses brought together 934 exhibits. 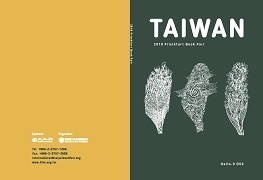 Please click here or here to download the recommended titles from Taiwan this year.